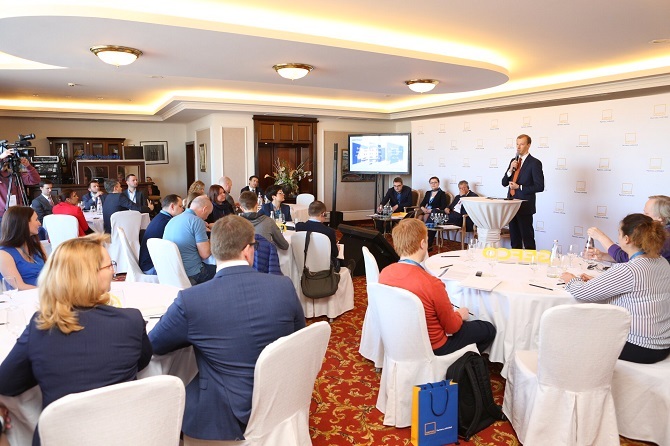 The GEFCO Group, a global provider of supply chain services for industrial enterprises and a European leader in automotive logistics, celebrates 15 years of operations in Russia. During this time the company became one of the leading players in the automotive logistics market, received a license from a customs broker, expanded the range of services from the transportation of finished cars and components to the organization of integrated supply chains for leading Russian industrial enterprises, diversified the client portfolio, winning customers in many key industries. 6-8 November 2018, the international transport and logistics exhibition - TransLogistica Poland invites you to participate! (Statistics of the exhibition Translogsitica Poland for 2013-2017). TransLogistica Poland is the largest event in the countries of Central and Eastern Europe for professionals in the field of transport, freight forwarding and logistics, as well as for manufacturers and distributors in search of contacts in the field of transport and logistics services. Read more about 6-8 November 2018, the international transport and logistics exhibition - TransLogistica Poland invites you to participate! The logistics company DHL presented the results of the new report "Logistic Trends Radar". In total, the company has identified 28 major trends in business, technology and society, which will have an impact on the global logistics industry in the next 5-10 years. The study took into account the data of numerous partners of DHL - research institutes, technology players, start-ups and customers. In total, information was processed from more than 10,000 experts.